An Award winning raw hot chocolate with a Wiltshire chilli kick. 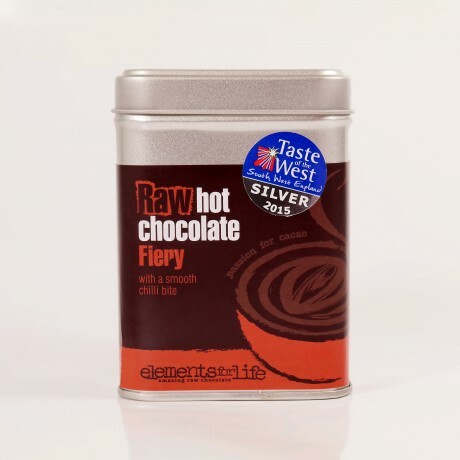 Using the same core base that is used for Elements of Life's spiced raw hot chocolate, raw cacao powder and coconut palm sugar is fused with some fabulous Jamaican red chilli powder grown by The Wiltshire Chilli Farm. First delight in the rich raw chocolate flavours, with the warmth of the chilli kick following through slightly after. There's enough chilli in to really taste it without overpowering the cacao.